Learn more about your host for the Botswana Okavango Delta Safaris, John Sobey, who is certainly an adventurer. Originally from Cornwall, England, he's been living and working in the exotic and beautiful Okavango Delta since 1995. What is your background with horses? John: I grew up riding horses on our farm and used to compete before heading out to Africa, where I have been riding in the Okavango Delta for over 15 years. Why are horses such a good way to explore the Okavango Delta? John: Horses have a very low environmental impact and are able to explore areas that would otherwise be inaccessible. They are the ultimate 4x4. As the Delta floods every year, we are able to cross the water systems on horseback and experience the Delta from the rivers. What is your favorite place to ride around the Macatoo Camp? John: The horses have to be familiarized with the sights and sounds of wild animals. We only take one new horse out on a ride at a time. That way, he will become comfortable in his own herd, so to speak, and gain confidence from the other horses. What is most surprising to equestrians who travel to ride with you? John: The space! Not many people really know what 500,000 acres really is like. The Okavango Delta has a wide variety of bird and animal species. Do you have a favorite animal and why? John: If I had to choose an animal, it would probably be the giraffe. It’s just such an amazing peaceful animal and so lovely to ride with. What's the most surprising/ exciting wildlife encounter that you've had while riding in Botswana? John: The most exciting riding experience I have had has to be running with Giraffe you really are interacting with them. You’re on an animal and riding/interacting with animals. You will never get the same feeling on a jeep safari, sorry! 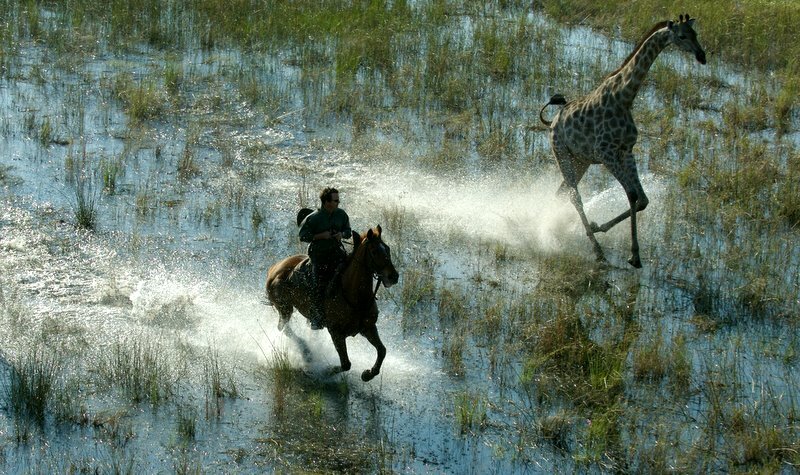 Learn more about the Botswana Okavango Delta Horse Safari and book your trip by contacting us. 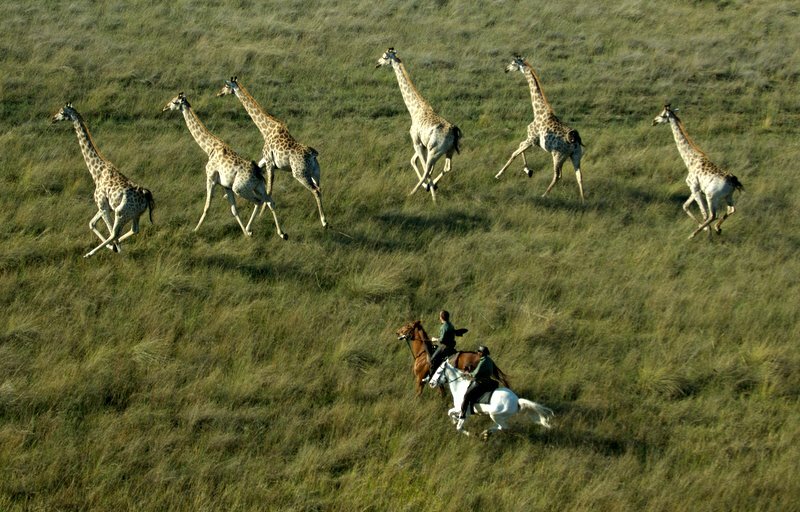 There are safari options for riders and their non-riding companions on this safari in Africa!